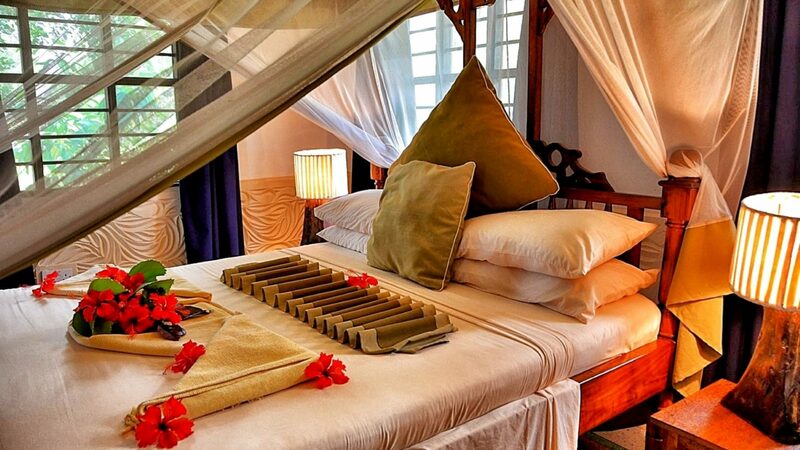 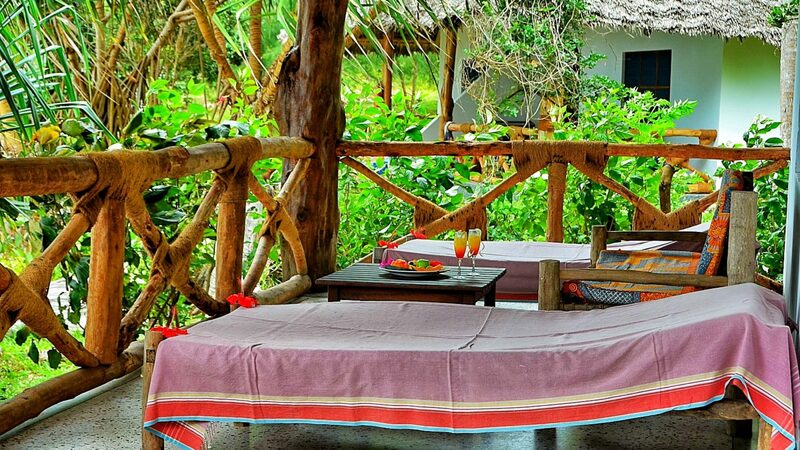 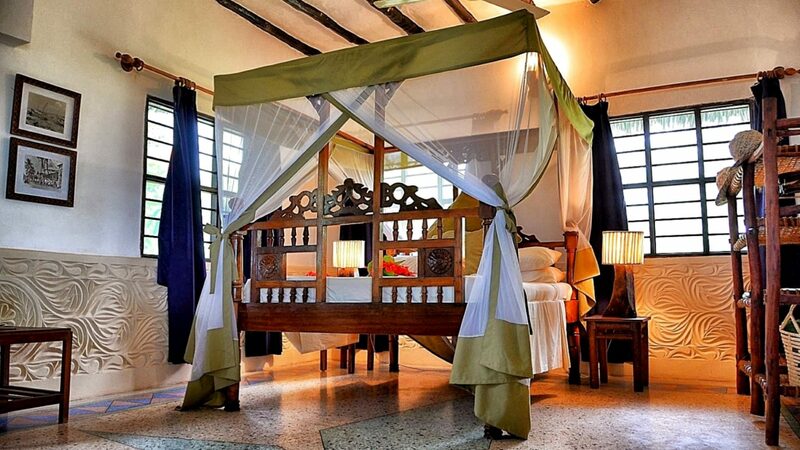 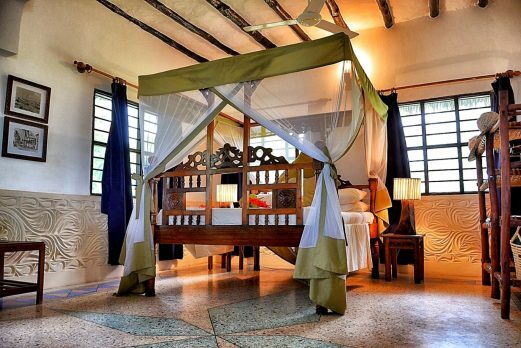 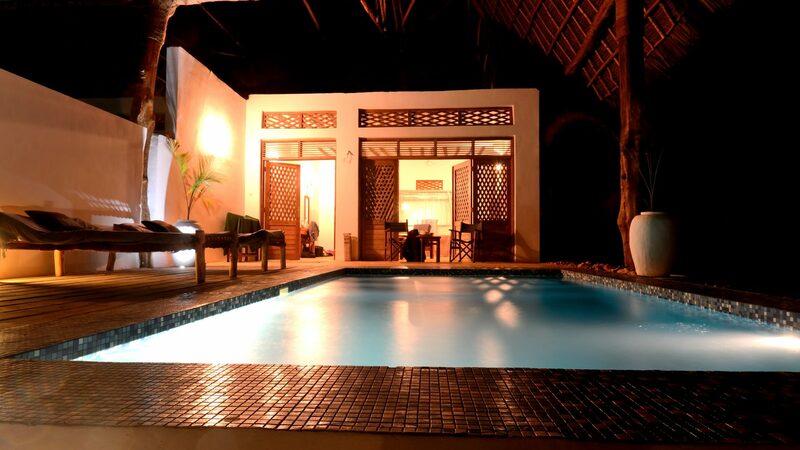 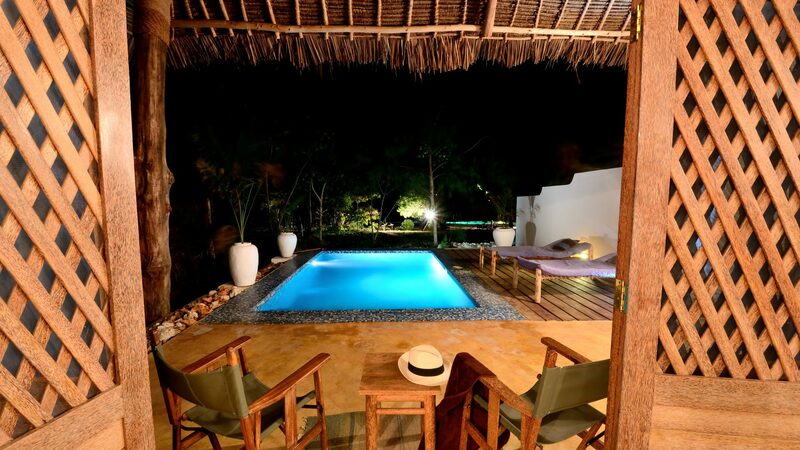 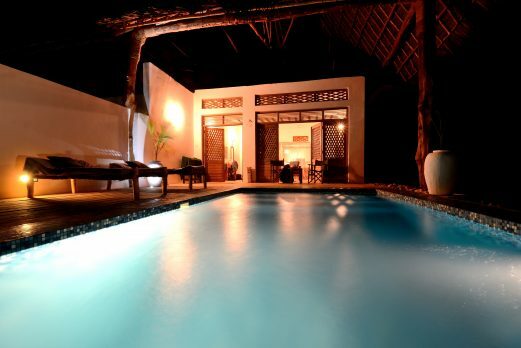 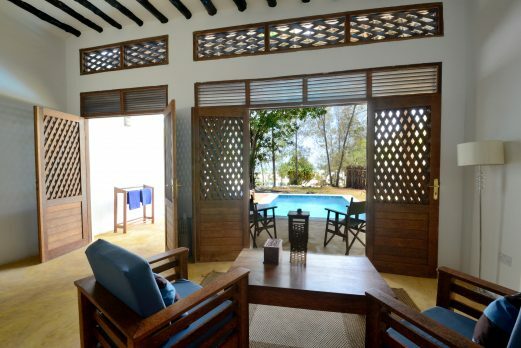 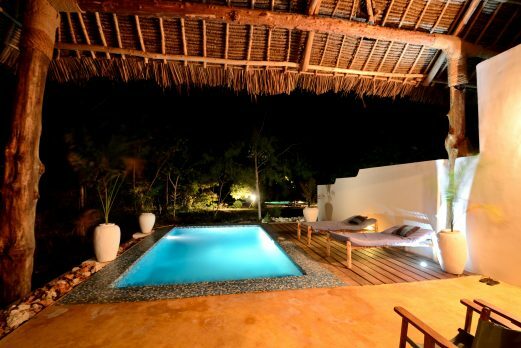 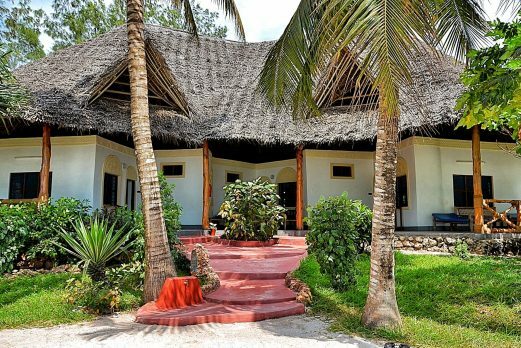 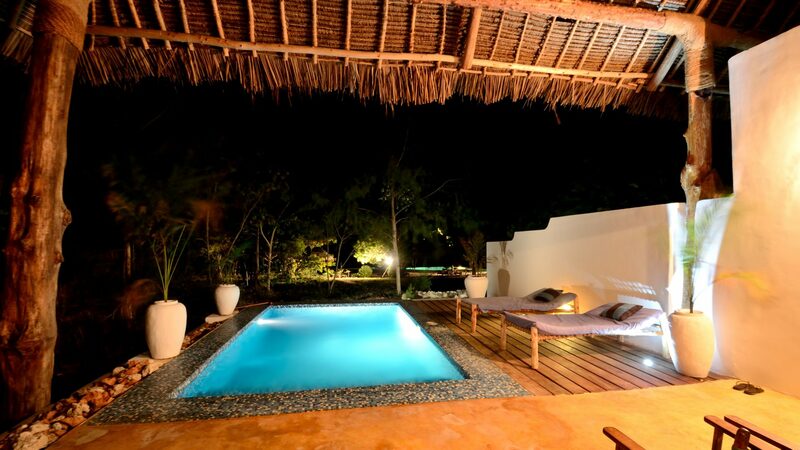 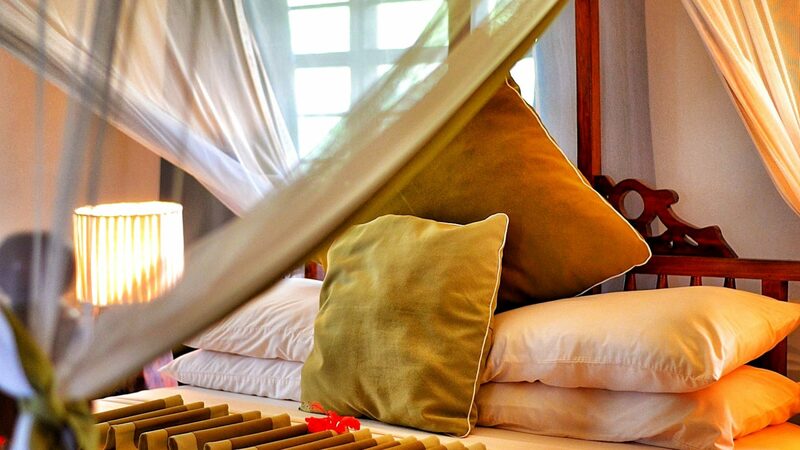 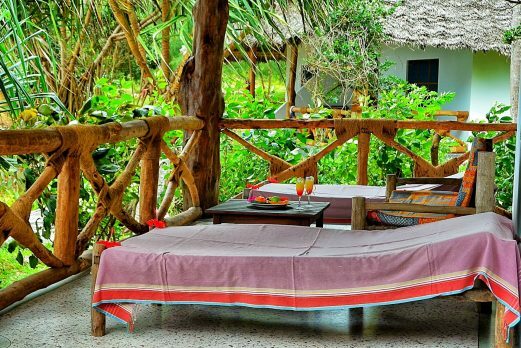 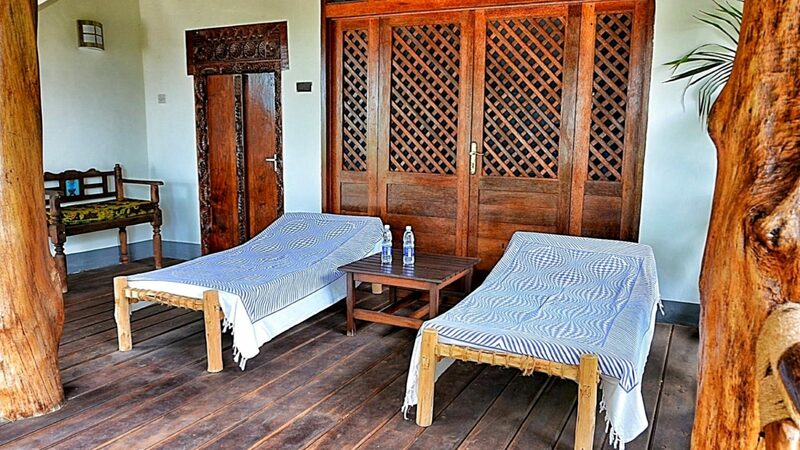 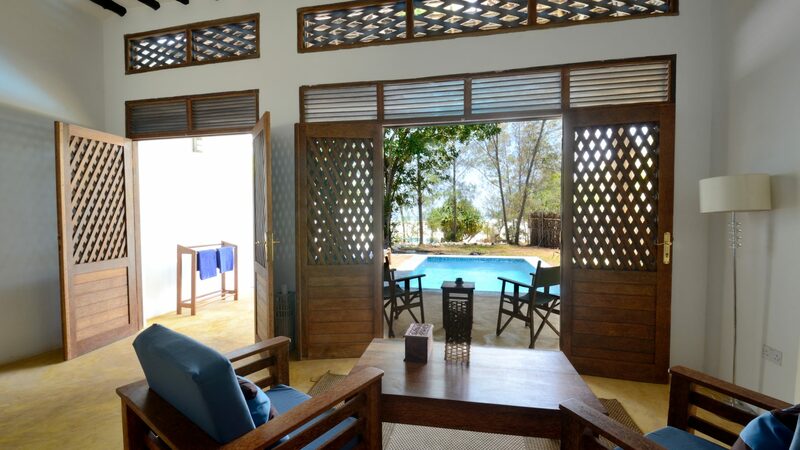 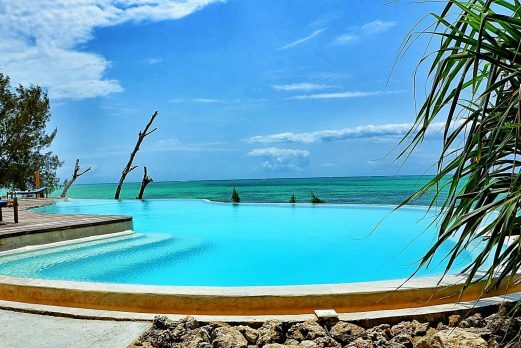 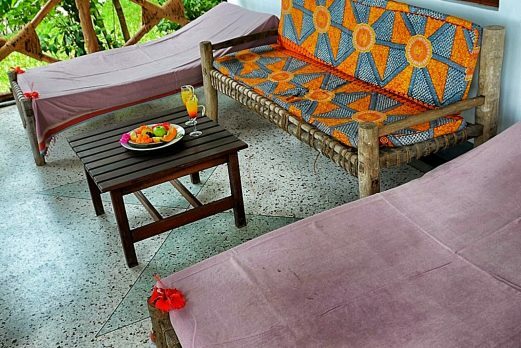 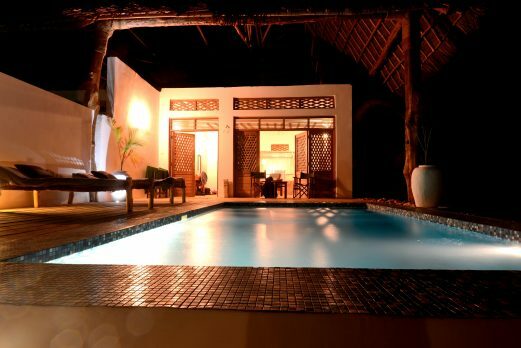 Pongwe Beach is one of the best beach lodges on Zanzibar. 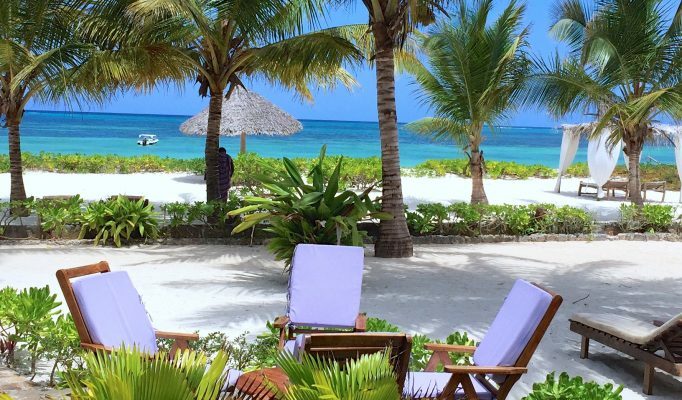 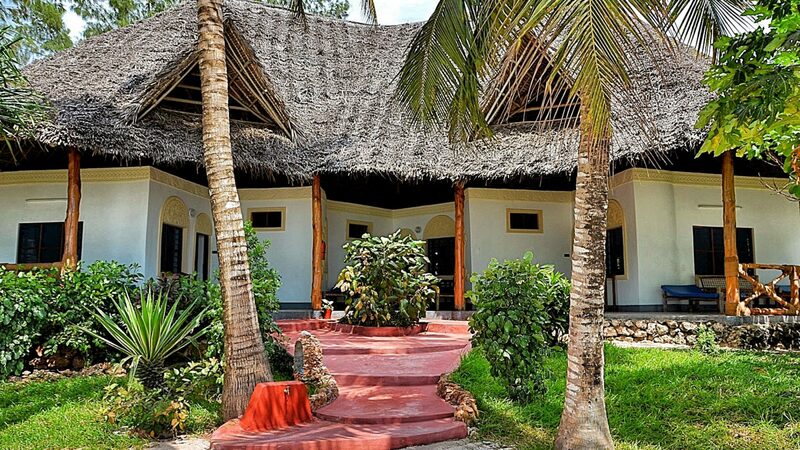 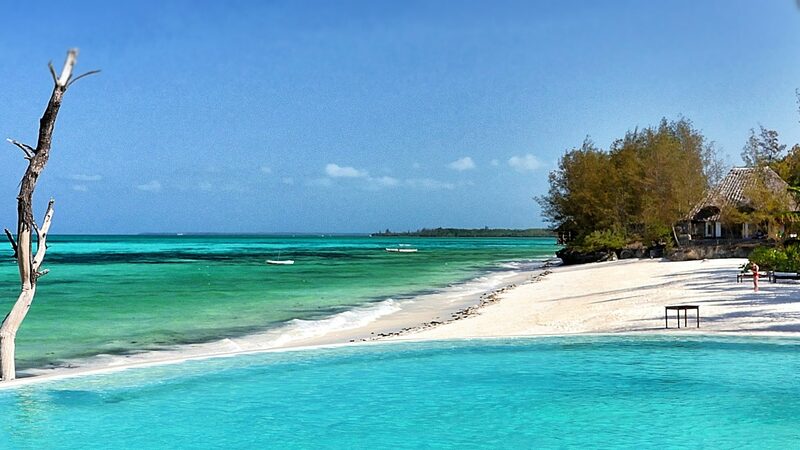 Set within a secluded bay on the east coast, it has one of the finest beach locations anywhere in East Africa, offering complete privacy from anywhere else on the island. 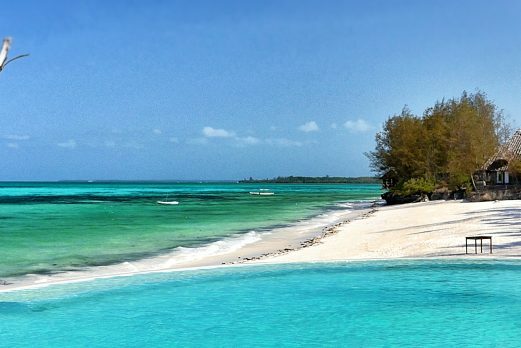 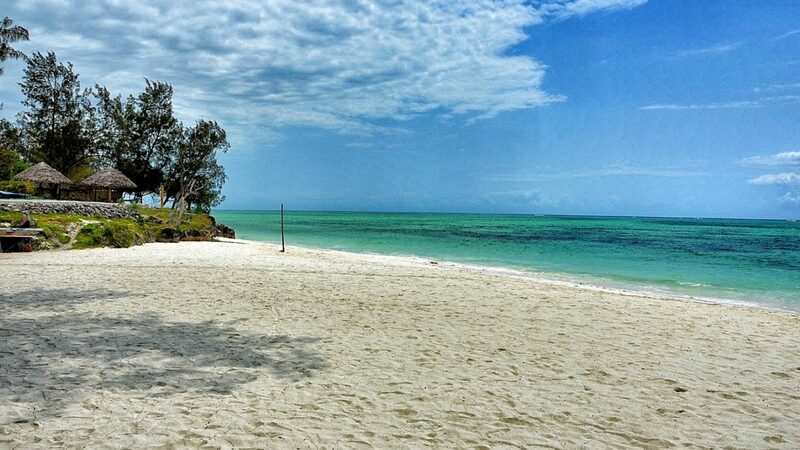 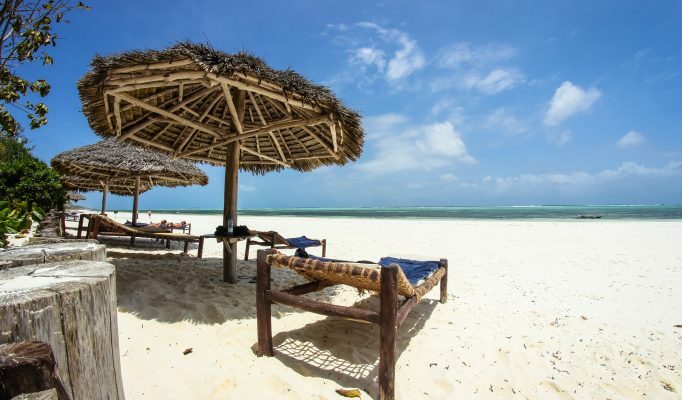 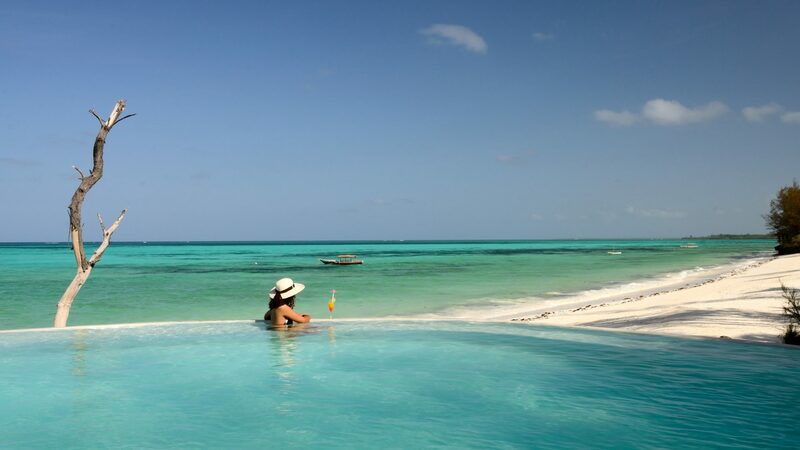 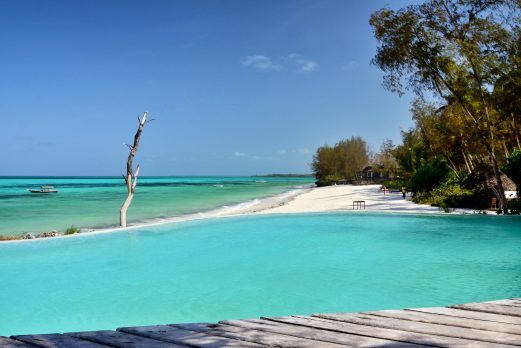 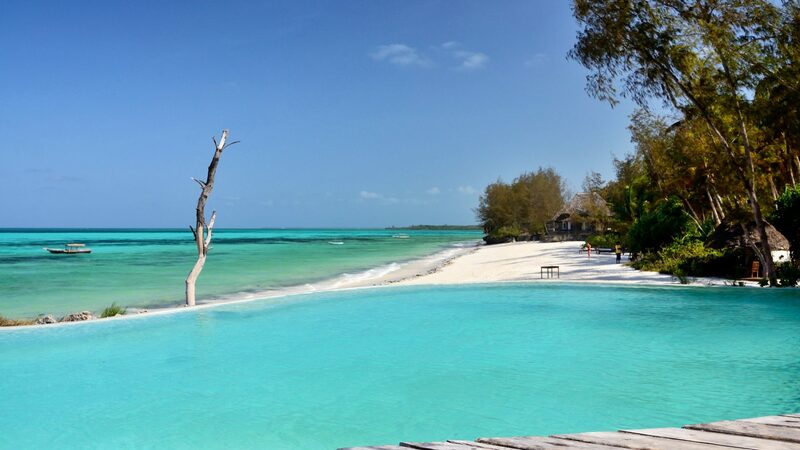 Pongwe Beach is the ideal place to relax and enjoy Zanzibar’s distinctive, mellow pace. 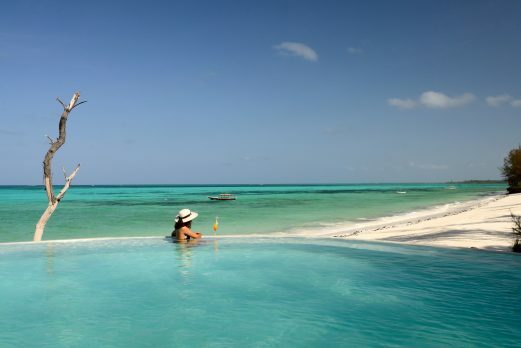 Here you can dive into the crystal clear waters of the Indian ocean, or stretch out and soak up the sun on the beach. 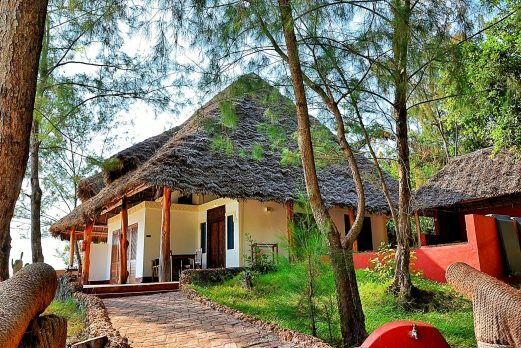 The 16 beachfront cottages have traditional lime wash walls and thatched roofs made from woven palm leaves with comfortable and clean interiors. 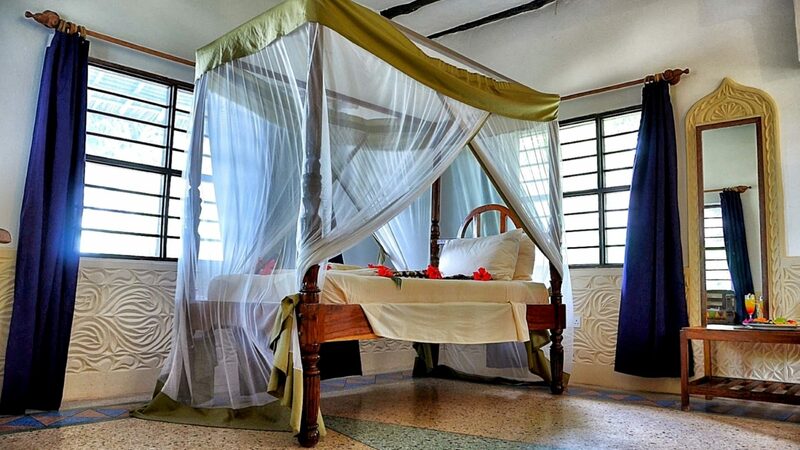 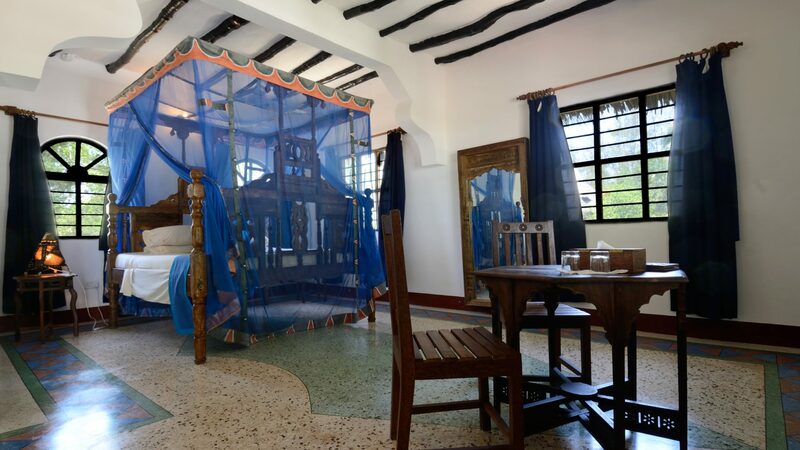 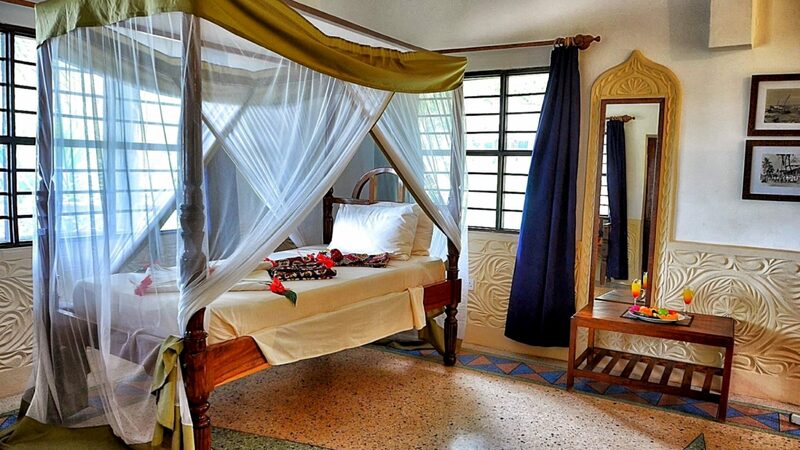 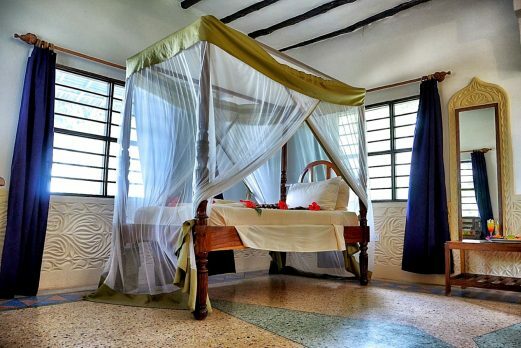 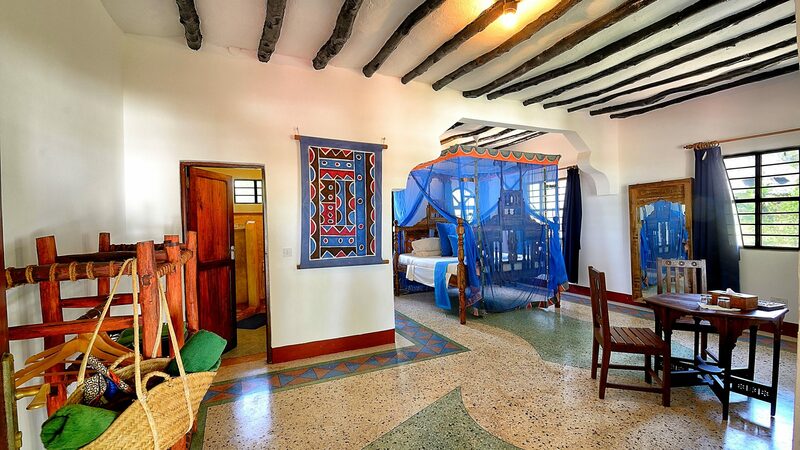 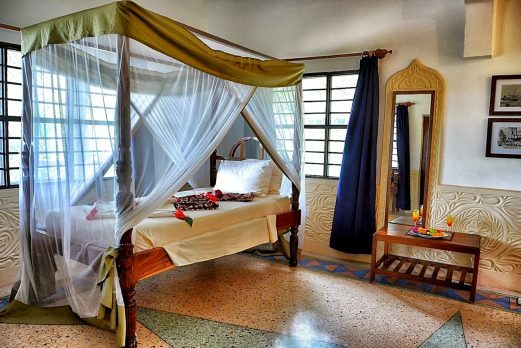 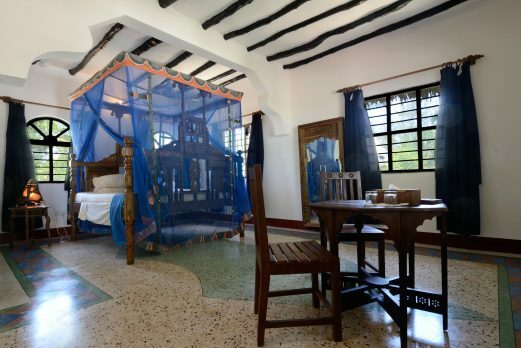 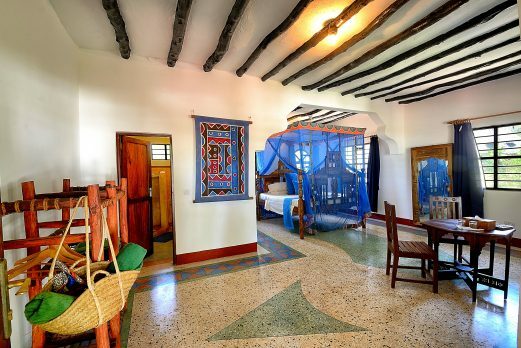 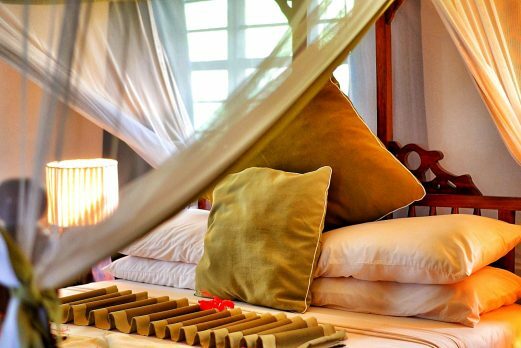 Each room has a double or twin beds, ceiling fans, mosquito nets, ensuite bathroom with shower. 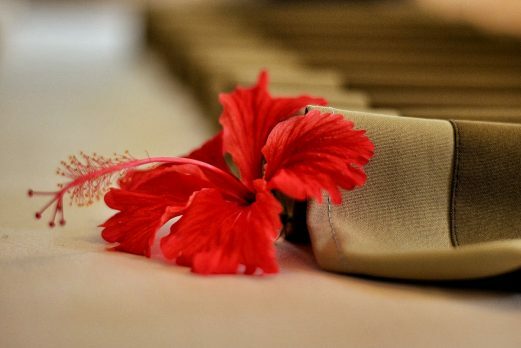 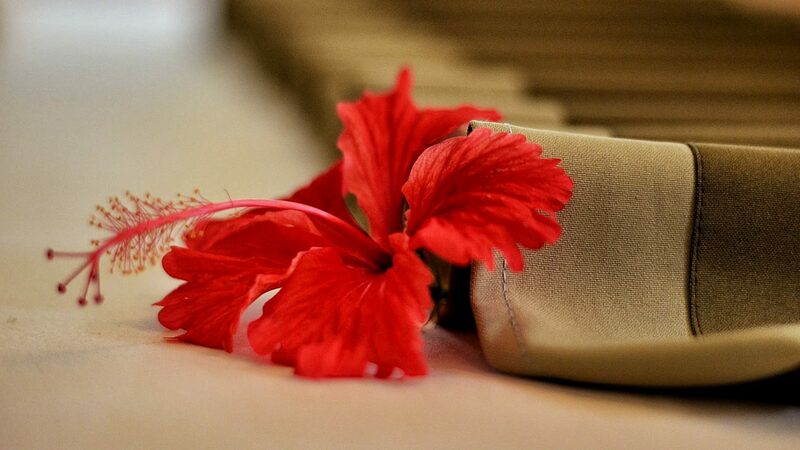 There are some very cool extra touches within the rooms such as flowers, beach bags, kangas to wear, which make it all feel that little bit more special. 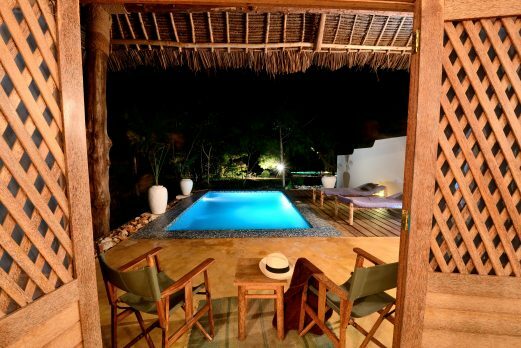 Hidden amongst the gardens and overlooking the infinity pool, there are 4 Suites, all offering spacious accommodation and sizable plunge pools. 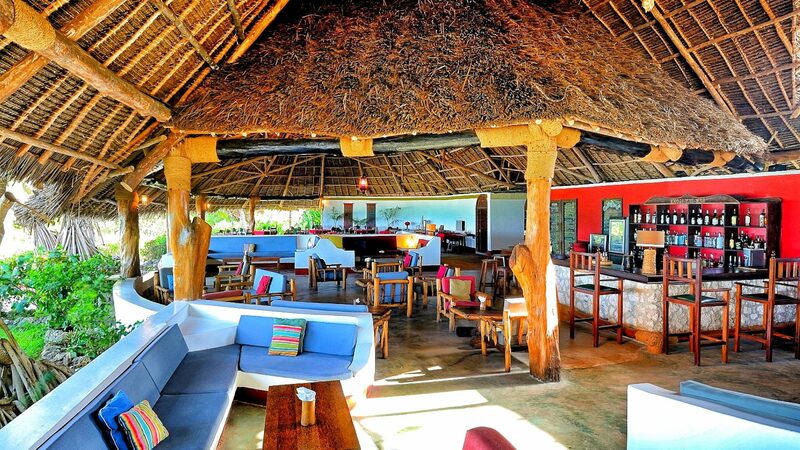 The main dining, lounge and bar area all sit under a large thatched building set back a little from the beach. 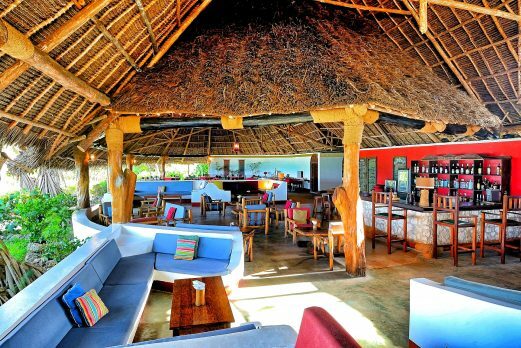 It’s a large open space with minimal decor so it’s all very relaxed and the atmosphere very much what you make of it. 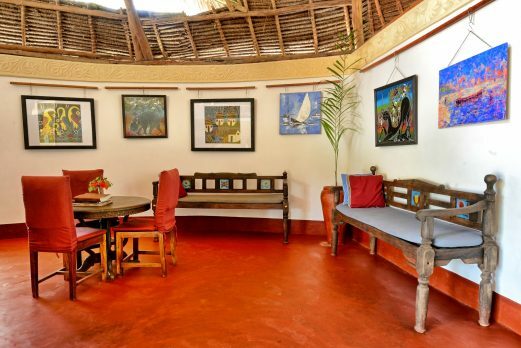 The food is always great and the bar is well managed as all the chefs have been well trained by a consultant chef from UK. 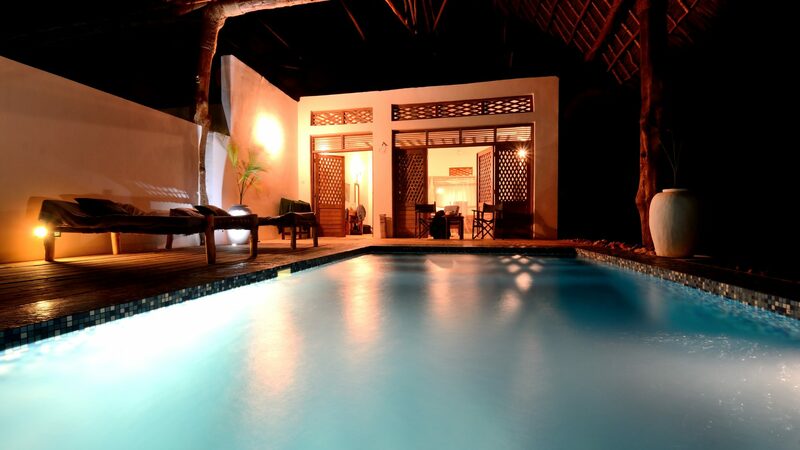 At one end of the stunning beach is the lovely swimming pool area which is set slightly above the beach with a decking area and sunbeds. 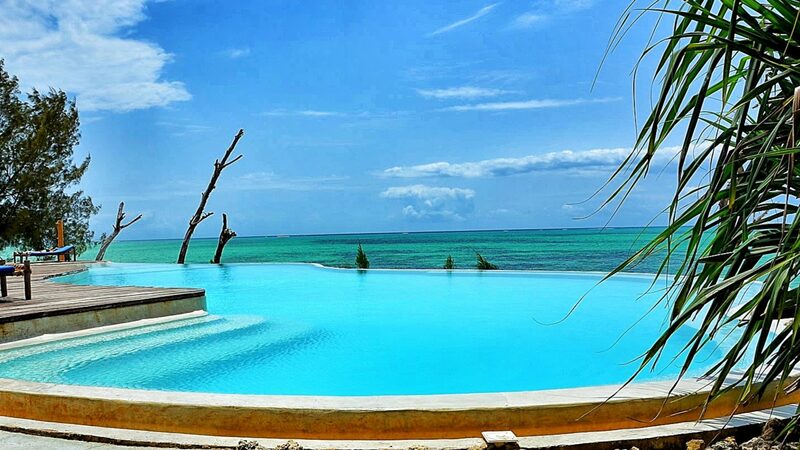 If you just want to stop and do little more than relax, read and swim then this is the perfect spot. 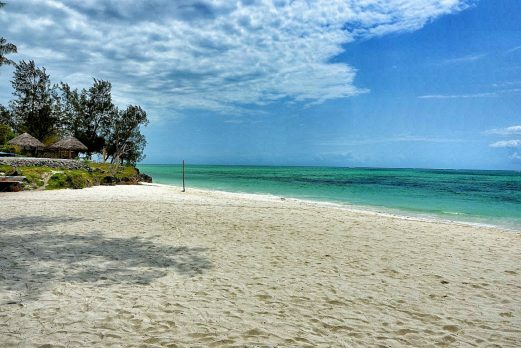 The beach at Pongwe is possibly the most beautiful on the island and if you get up at sunrise you will see one of the local staff clearing away any seaweed which has washed up on the tide so it looks perfect. 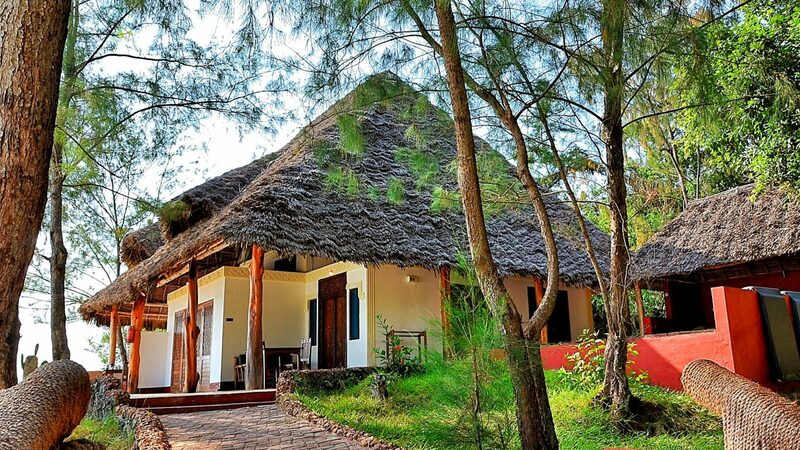 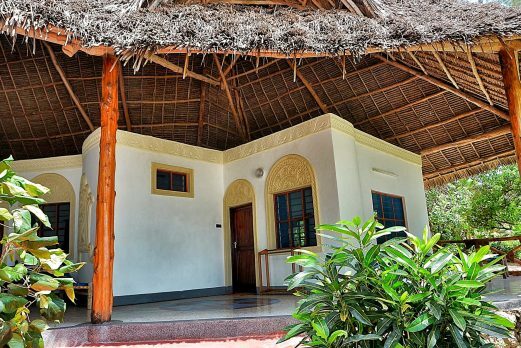 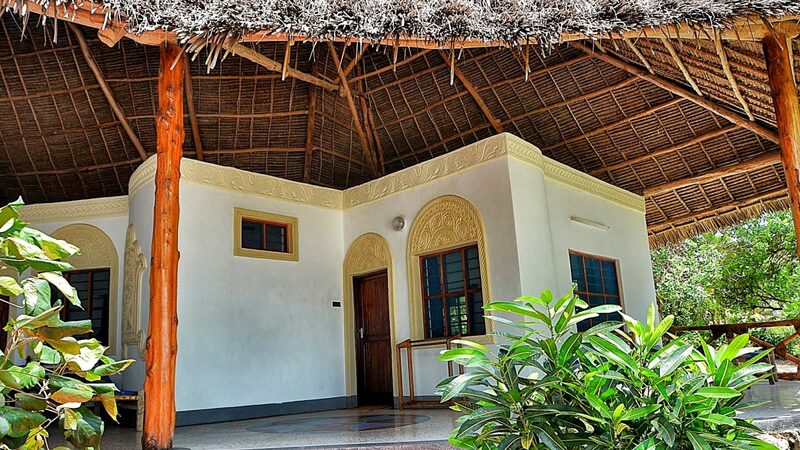 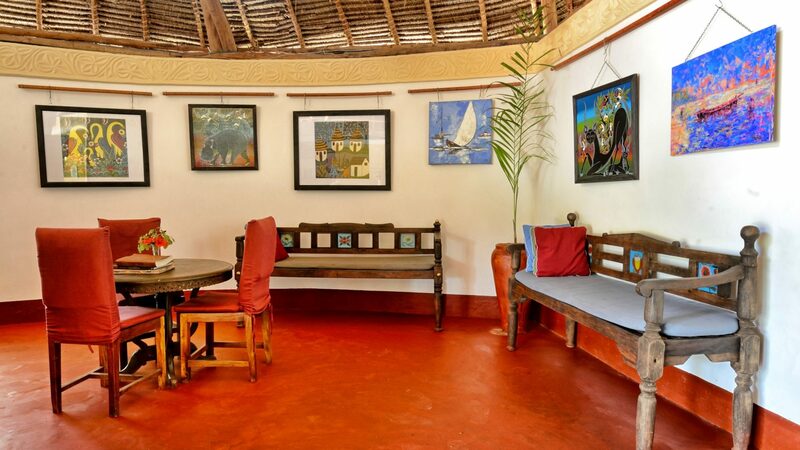 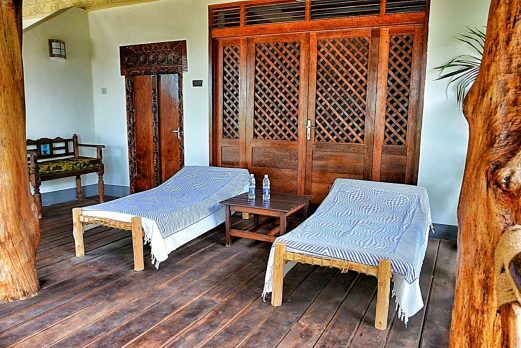 Pongwe Beach is a superb beach hotel which has been one of our favourites for years. 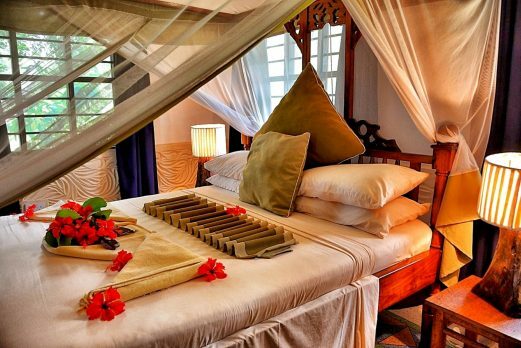 It is very popular so you have to book well in advance to guarantee availability.